We have the photographer (KumaTheKodiak)! Do not nibble on the big bear! It will be held on Friday 19th August (Con Day #3) at 15:00/3pm. 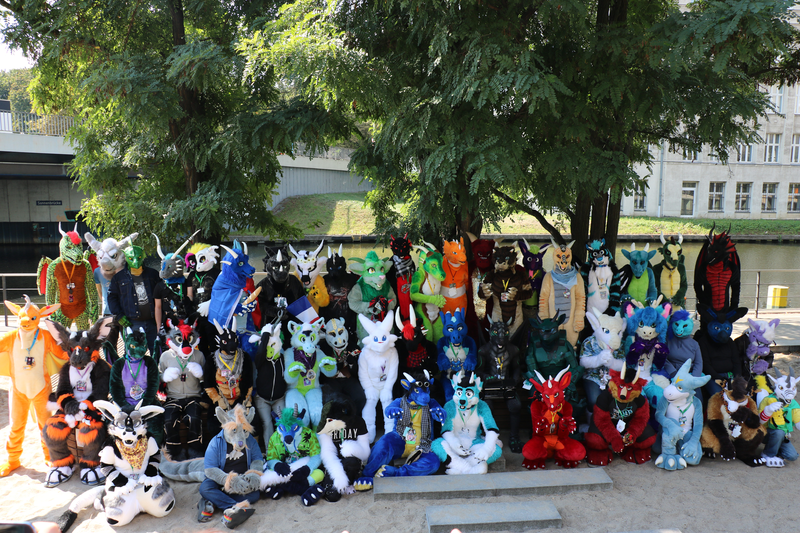 According to the busy EF22 schedule http://www.eurofurence.org/EF22/schedule/ avoiding the main events, the dragon photoshoot will be held on Friday 19th August (Con Day #3) at 15:00/3pm. People who would like to help the photographer moving fursuits/persons for a better pictures are welcome! I'm very sorry but around 12:00/13:00 the sunlight is the worst in the day and the picture won't come out well, before that time lot of fursuiters aren't in the mood to perform so early, after that time starts the EF usual schedule. The one I proposed is the best I could find, avoing all major big events and panels. Few non-fursuiter helpes would be very precious, to speak loudly for the photographer and move fursuiters and humans for a better group pictures. Poke me if you wanna give a hand. I have a no good news to communitate. Kuma, our official photographer for the event, had unlucky problems with the memory card of his camera and the pictures seem get lost. I'm trying to collect around all the pictures taken at the dragons photoshoot, to find the best ones which could be the official. After the unlucky lost of the official pictures of the EF22 dragons photoshoot, I selected the best ones I could find online or received by friends. Thank you very much to Fuchur, RawrDragon, Phasor Dragon and Rezumaru for those shots. Thank you so much to all dragons, photograpthers and people who has attend, it was so nice see you there and I hope to see you there again next year! Will you be organizing another dragon photoshoot at EF23?